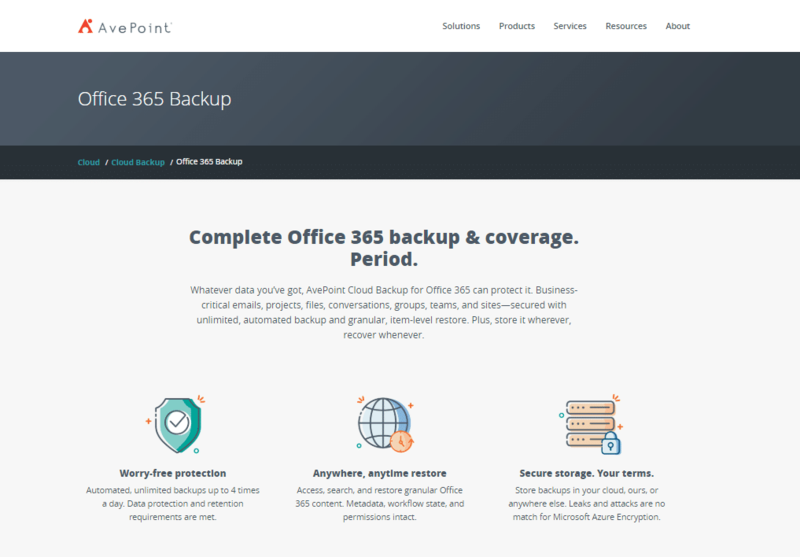 Monitor and Manage ALL of Office 365 including SharePoint Online, Exchange Online, Skype for Business, Microsoft Teams and Everything-in-between. 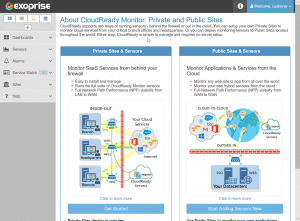 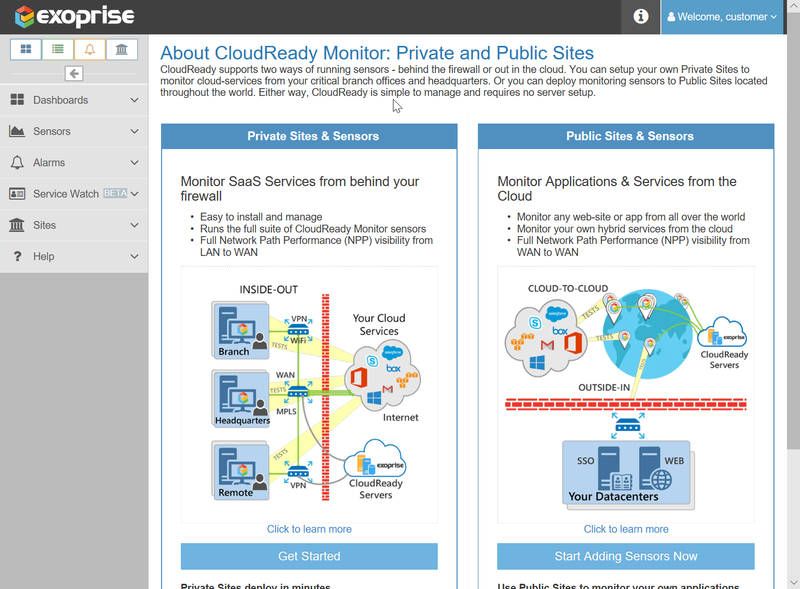 Exoprise CloudReady is the platform for end-to-end visibility into the networks and applications your organization relies on. 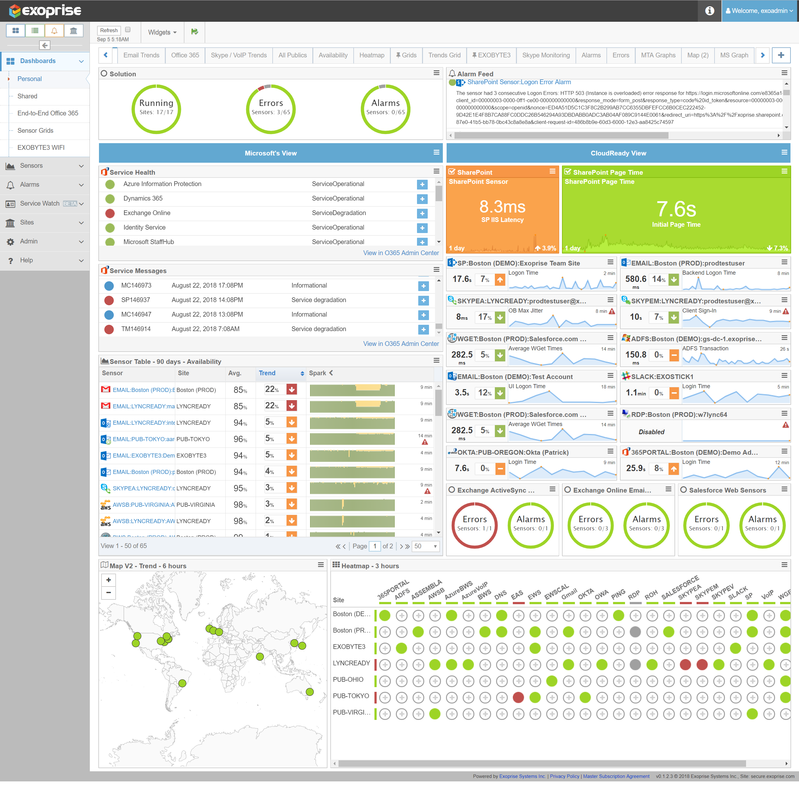 Find and fix problems fast, manage change, observe trends and improve operations for your entire business. 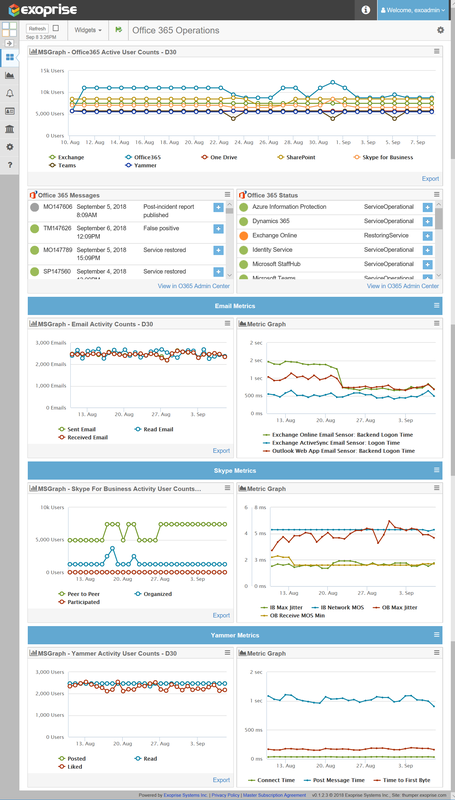 Monitor the end-user experience of your entire Office 365 Suite with support for every protocol including Web, DNS, Skype for Business, MAPI, VoIP, Bandwidth, Azure AD, SSO and more. Easily monitor any SaaS / Web App from any Branch office location in minutes. 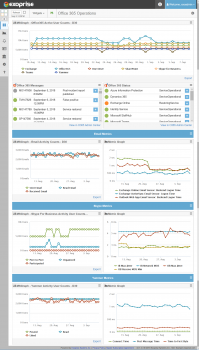 Get crowd-sourced instant network benchmarks to compare your network and cloud performance to other enterprise customers. 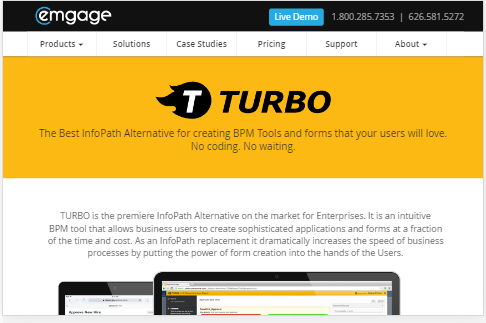 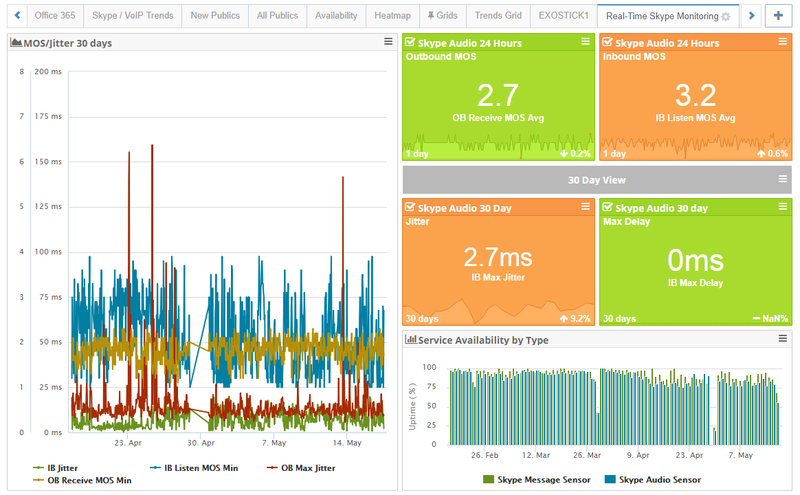 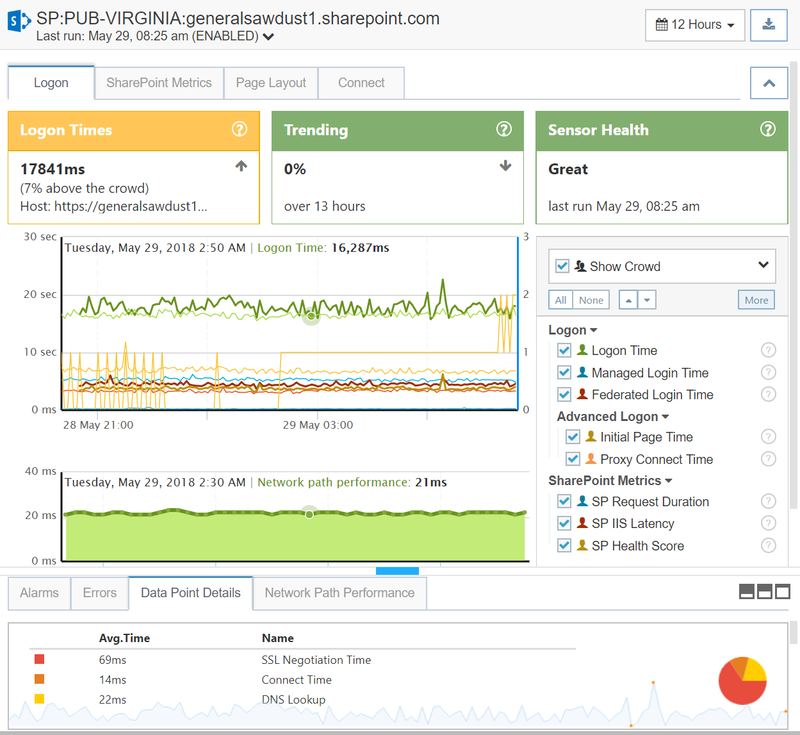 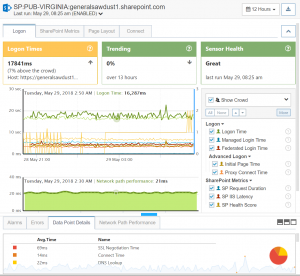 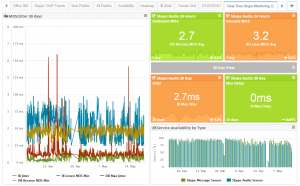 Correlate usage reports and activity with real-time performance in one solution.